Hello Friends, i know i am posting after a long time but as i said i was busy with my studies or more specifically my 2nd year exams, but now i am free and ready to bring you new loot offer. Today i decided to share a loot with you that will earn you free movie voucher (BookMyShow) Vouchers Worth Rs 150 by Inviting 7 Friends, another Rs 150 Voucher for Inviting 4 Friends and yet another Rs 150 Voucher for Rs 150. The Android App we are going to use to loot this offer is allevent. 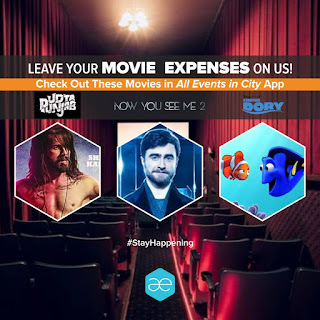 AllEvent In City is a app that allows you to join events(cricket match, movies, concert, etc) near you with a click. 4) Now when your friend download the app and login with facebook, you will receive 100 Points. 5) You can redeem your points against free Recharge, BookMyShow Voucher or Amazon/Flipkart Giftcard. If you have any doubts or question,do let me now by commenting below and don't forget to share this article.